Free Shipping Included! 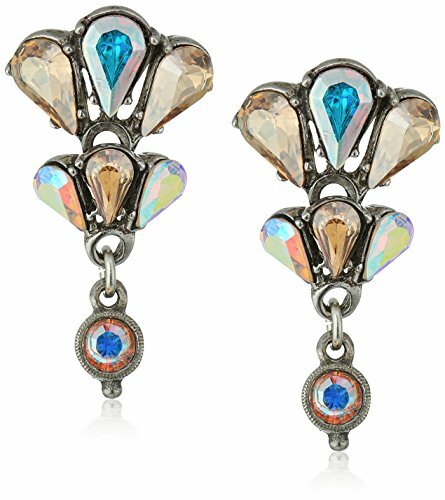 Ben-Amun Jewelry Swarovski Crystal Amore Cascading Drop Earrings for Bridal Wedding Anniversary by Ben-Amun Jewelry at SCRHI. MPN: 30113. Hurry! Limited time offer. Offer valid only while supplies last. Amorous, dreamy post earrings featuring marquise and round Swarovski Crystal cut in Crystal Aurore Boreale. A romantic and demure statement necklace that is perfect for weddings, anniversaries and transitional casual to evening wear. Ben-Amun jewelry is assembled by highly skilled jewelers with quality material and immense attention to detail. A well crafted luxury jewelry that truly makes a woman feel feminine and elegant. If you have any questions about this product by Ben-Amun Jewelry, contact us by completing and submitting the form below. If you are looking for a specif part number, please include it with your message.